LAHORE, Pakistan (Morning Star News) – A young Christian man in Karachi, Pakistan lost sight in one eye when armed, Muslim neighbors attacked his family, his father said. 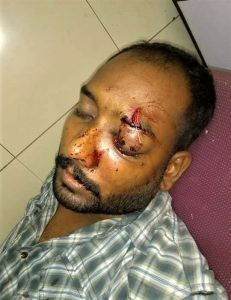 Vikram John, 25, lost sight in his left eye after Muslim neighbors who had pressured his family to leave the neighborhood with months of harassment beat him and other family members on the night of Aug. 18, his father Alvin John told Morning Star News by phone. Earlier in the evening, Vikram John was involved in a minor altercation with Muslim neighbors who had teased his 18-year-old sister, said his father, who 10 months ago moved the family to Karachi’s Mehmoodabad No-II neighborhood from Sahiwal District in Punjab Province. 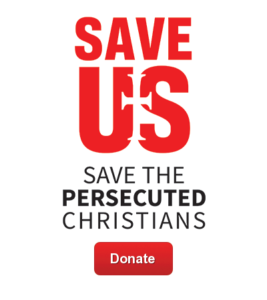 The Muslims have been harassing and intimidating the family, who belong to an Assemblies of God church, since they moved into the rented house, he said – teasing his children when they stepped out the doorway and mocking them for being Christian.